THERE are “significant concerns” about the level of care provided to Northern Ireland’s most vulnerable prisoner populations – with calls for women to be moved yet again to a suitable secure facility. A new report by the Criminal Justice Inspectorate (CJI) has questioned the ability of Hydebank Wood Young Offenders’ Centre (YOC) and Ash House, Northern Ireland’s women’s prison, to deliver positive outcomes for inmates within their care. And, nine years after women were moved from Maghaberry Prison because of its unsuitability, the inspectors have concluded that the replacement jail in Hydebank Wood (HBW) has failed to come up to scratch – and is having a “significant and intractable” effect on the outcomes for female inmates. The CJI report also raised further concerns about the frequent use of prison lock-downs, vulnerable prisoner procedures and the drug problem at both prisons. The latest quarterly drug reports released by the Northern Ireland Prison Service (NIPS) show that the number of people entering prisons here with a drug or alcohol dependency has almost tripled since last year. Meanwhile, the authors of a separate report which severely criticised women’s imprisonment within the male young offenders centre six years ago, say the latest findings are “scandalous”. Queen’s University’s Professor Phil Scraton and Dr Linda Moore from the University of Ulster called on the Justice Minister to take action as a “matter of urgency”. The latest inspections were carried out in February 2013. The findings also come as new Situation Reports received by the Detail under Freedom of Information (FoI) outline that concerns about security and vulnerable inmates at HBW were still prevalent throughout August 2013. Situation Reports are circulated to senior officials within the criminal justice system on a daily basis and provide a snapshot of the incidents that occurred in Northern Ireland’s prisons within a 24 hour period. 10 alarms, with five alarms on the one day on August 5. Supporting Prisoner at Risk (SPAR) procedures are designed to allow for a greater level of support over a period of time that is “flexible and based on individual need”. In the latest CJI report, inspectors were critical of the quality of prisoners SPAR booklets in both prisons. Inspectors found that assessments often gave little detail or explanation of prisoners’ feelings. Inspectors also highlighted delays with mental health assessments following serious self-harm. In one case a female prisoner in Ash House who had inflicted serious self-harm in a suicide attempt had no mental health assessment and risk assessment completed until 11 days after the incident. Inspectors noted that in the community a psychiatric assessment would have been completed before the patient left the emergency department. The report also states that in the Young Offenders Centre most prisoners still spent too long locked in their cells and lacked opportunity to spend time in the open air. There was evidence of unpredictable lock-downs and activities were often cancelled at short notice, all of which inspectors said was “fundamentally disrespectful”. A previous story by The Detail revealed that inmates at the young offenders centre were seven times more likely to be punished with solitary confinement than inmates at Maghaberry. In the latest report inspectors also found that there was a widespread belief among prisoners and staff in both prisons that there were problems with “the diversion of prescribed medications”. Although most prisoners with drug and alcohol problems were positive about the support they were offered, inspectors found that neither prison had a coordinated approach to addressing the “supply, demand or harm reduction” in its drug and alcohol strategies. The latest quarterly drug reports released by NIPS from 1st September 2012 – 31st August 2013 show that the number of people entering prisons here with a dependency of drugs/alcohol went from 88 in the first quarter (01 September – 30 November 2012) to 314 in the fourth quarter (01 June 2013 – 31 August 2013). The quarterly drug reports also show that the number of prescription drugs found throughout Northern Ireland’s prisons increased from 134 tablets in the first quarter to 472 tablets in the fourth quarter. There were only 5 diazepam tablets found in the first quarter, with 328 tablets recorded by the fourth quarter. The quantity of cocaine found also went from zero in the first quarter to 35.1g in the fourth. For a full breakdown of the quarterly drug reports see the bottom of this story. Dr Linda Moore, Senior Lecturer in Criminology at University of Ulster, said the inspection report makes for “harrowing reading”. Dr Moore co-authored a report into women’s imprisonment within the male young offenders centre with Queen’s University Professor Phil Scraton in 2007. Dr Moore said she has been left disheartened by the latest findings. She said: “Yet again inspectors have found that women prisoners suffer verbal abuse when being transported with young men; there is excessive strip-searching; too many women feel victimised by prison staff and the needs of self-harming women are not appropriately met. 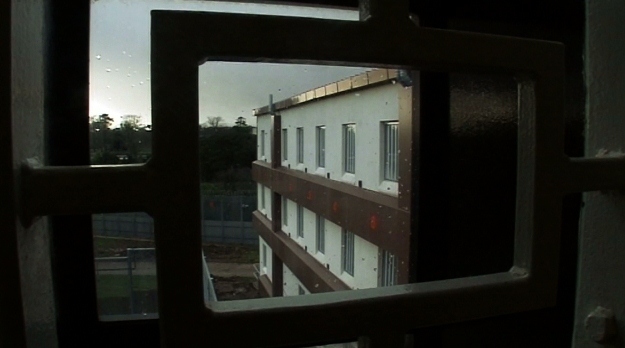 Prison Service Director General Sue McAllister acknowledged the negative findings of both reports and said that the inspections were carried out at a “very challenging time” for Hydebank Wood. She said: “There was no permanent occupancy of either the post of governor or deputy governor, while many experienced officers at the prison had either left or were in the process of leaving under the Prison Service Voluntary Early Retirement Scheme. Speaking specifically in relation to the female facility at Ash House, Mrs McAllister said: “It is clear that the co-location of the female prison on the same site as the Young Offenders’ Centre is far from ideal and this no doubt heavily influenced the overall conclusions of the report. However, Professor Phil Scraton said the female prison population here are in need of action instead of words. He said: "I read this inspection report with increasing frustration and anger at the apparent ambivalence towards providing appropriate care and support for women in prison in Northern Ireland. “Successive directors of the NI Prison Service have stated their commitment to taking seriously the two reports researched by myself and Dr Linda Moore for the NI Human Rights Commission, published 2005 and 2007.